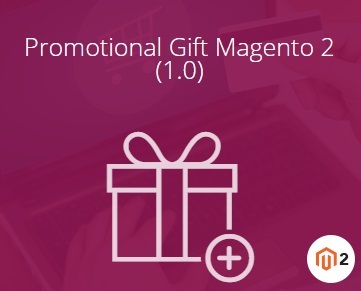 Another important tool designed to create comprehensive promotions is Magestore Promotional Gift for Magento 2. While Super Campaign can be used to leverage various visual aspects of your promotion, Promotional Gift will help you create multiple rules. Let’s figure out some core features of the Magestore Promotional Gift Magento 2 module. 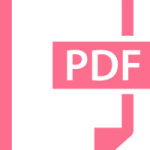 Yes, you are absolutely right: this extension is designed for creating and running such promotions as Buy X – Get Y free and Purchase $X+ – Get Y at Z% off. And the extension allows you to use any product as a gift. Note that all product types are supported! 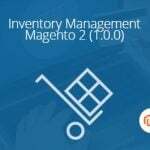 Furthermore, Magestore Promotional Gift for Magento 2 provides deep insights into Order total and Gift value, so you can always keep your hands on the pulse of every promotion. And there are more than 100 stunning icons designed to increase the effectiveness of your campaigns. The icons are available for free! But how does the extension work? It informs customers if a product offers gifts via a separate section, so store visitors are more motivated to purchase promoted items. 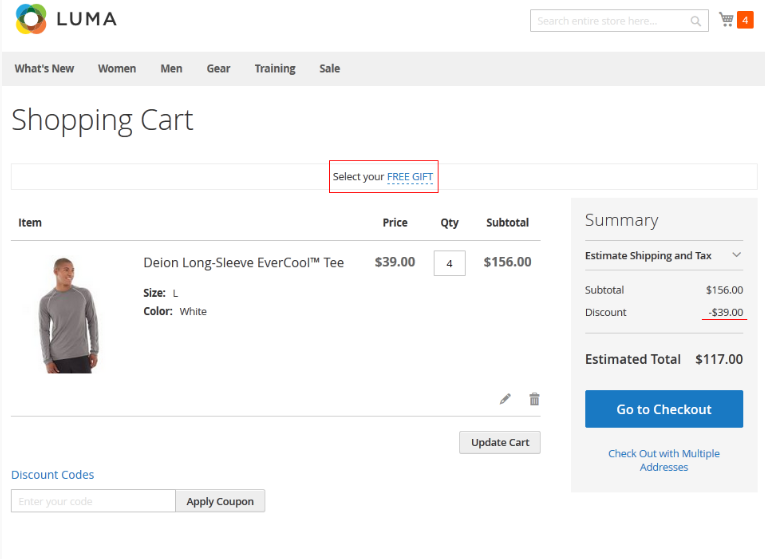 Next, the gift is automatically added to cart. If there are several items, it is necessary to select a desired one. And you can run an unlimited number of promotions assigning different conditions to each one. 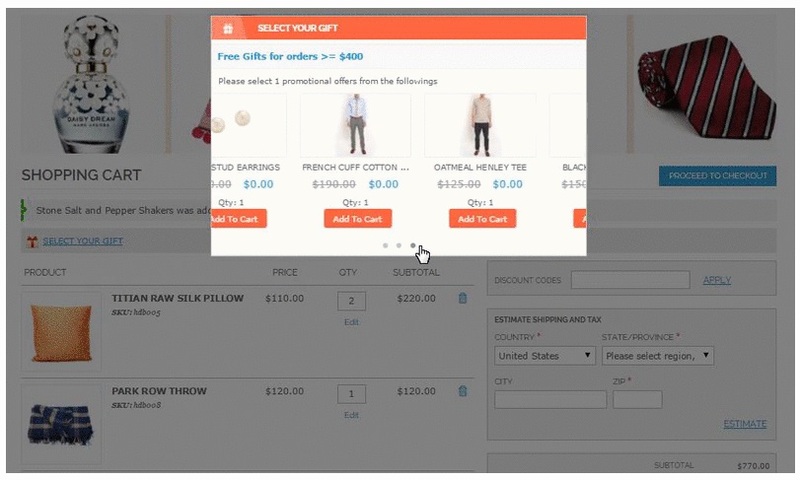 Note that it is possible to offer gifts either on the basis of shopping cart info (order value, quantity, etc) or for certain products and specific categories. Multiple rules can be applied simultaneously, making your offer more precise. As for offered items, they are displayed in a single popup. From the backend perspective, Promotional Gift allows you to set the frequency of campaigns essentially improving admin routine. You no longer have to enable the same promotion each week – it is only necessary to set its frequency on a daily, weekly, monthly, or yearly basis. 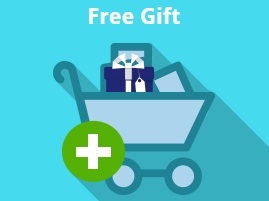 And while some gift extensions do not support free gifts, Magestore eliminates this limitation, so you can share promotional items without charging any money for them. Why is it necessary? Because you get a new channel with adds and make buyers more loyal. And as mentioned above configurable, bundle products, and grouped products can be used as gifts along with simple products. Additionally, there is an opportunity to set a limit on gift offers, so only targeted customers will participate in your campaign. Magestore Promotional Gift uses coupons to achieve this goal. To increase the effectiveness of the extension, you can display information on many different positions almost everywhere in your store. Unfortunately, the extension is not yet released, so we can’t provide a detailed description of its backend and frontend appearance. As soon as Magestore will release the module, we will explore it and create a detailed Magento 2 extension tutorial describing core aspects of its functionality. For the full list of features, check the link below.